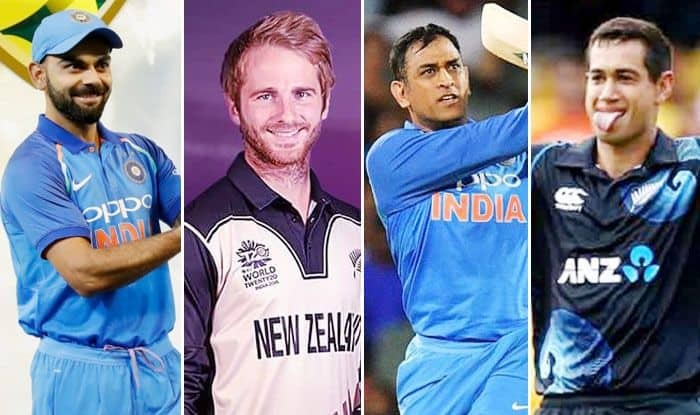 1st ODI India vs New Zealand: With both the teams loaded with limited-overs stars, the upcoming five-match ODI series promises to be the ideal stage for India to prepare well ahead of the ICC World Cup as the conditions will be similar to that the Men in Blue would confront in England, later in the year. 1st ODI India vs New Zealand: With both the teams loaded with limited-overs stars, the upcoming five-match ODI series promises to be the ideal stage for India to prepare well ahead of the ICC World Cup as the conditions will be similar to that the Men in Blue would confront in England, later in the year. Both the teams are well-placed in the ICC ranking with India at two and the Kiwis at three. It surely promises to be the battle of the equals. The Blackcaps hold the edge against India at home as they have won 21 out of the 35 matches played and are extremely potent in known conditions. On the other hand, India is a team that has momentum on their side after the historic win against Australia in Australia. So, who are the players to watch out for with so many superstars on both sides? Virat Kohli: The Indian captain is the No 1 batsman in the world and is someone who is zen-like in chases. He has a good habit of getting the hundreds which means if he does that he puts India in command. Kohli has the knowledge of the conditions in New Zealand and would be well-prepared ahead of the five-match series. The Indian captain has had a phenomenal 2018 where he became the fastest to 10,000 ODI runs apart from becoming the only Indian to slam three consecutive tons in ODI cricket. Kane Williamson: Virat Kohli’s opposite number Kane Williamson is a superstar in his own right. He has been a splendid captain and a world-class batsman. Williamson is also the best player of spin which makes him important in the scheme of things. He can pace his innings better than most in world cricket and that makes him an asset for his side. MS Dhoni: The 37-year-old veteran recently bagged the Man of the Series award in the ODI series against Australia. He is in ominous form and would be the key for India in tight situations. He is experienced and will bring all that into play which will make him an asset for the side. He is the finisher for India, a role he has made his own and that could make all the difference. Dhoni loves the Kiwis compared to other countries, he averages a Bradman-esque 96.95 in 10 ODI matches in New Zealand. Ross Taylor: The other premier batsman for the Kiwis apart from Williamson is Taylor. He has been around and has all the experience which could prove to be decisive against a big team like India. He can play the big shots and can also play the anchor’s role. He could win a match on his own on his day which makes him ever-so-dangerous. He has scored at an average of 69.73 in the 48 ODIs he featured in since the 2015 World Cup. Trent Boult: The left-handed seamer is the frontline pacer of the Kiwis. He has been among the wickets against Pakistan and looks in good rhythm and space which will make him an important figure in the Blackcaps outfit. He would be the biggest threat to India’s top order. New Zealand has 113 points, whereas India has 121 points. But, if New Zealand whitewashes India this time, they pip India in the rankings, something India would like to avoid. India has not won in their previous six ODIs in New Zealand. The first ODI is expected to be a high-scoring affair.